Hope Industrial Systems includes an industry-leading 3-year warranty on all standard products. To ensure maximum up-time for our customers, we generally repair and ship a returned product within 24-48 hours of receipt, and can often make repairs on the same day the product is received. For any questions about our warranty or to get service, please contact us. This warranty covers the purchaser of this product only and is not transferable without our written consent. We warrant this product to be free from defects in material and workmanship, subject to the conditions set forth below. The warranty remains in force for a three year period beginning on the date we invoice you. If Hope Industrial Systems repairs or replaces a product under warranty, its warranty term is not extended, but the repair itself is warranted for 90 days. We will repair or replace (at our sole option) any part of the unit which proves to be defective. Replacement parts may be new or refurbished and will meet the same specifications of the original parts or unit. For orders sold through our U.S. operations, at our expense we will return the product to any location within the U.S.A. via the shipping method of our choice. Shipping fees for products returned to customers outside the U.S.A. are the responsibility of the customer. For products originally sold through Hope Industrial U.K., return shipping to and from Hope Industrial repair facilities and any EU member country (except Croatia, Cyprus, and Malta) will be provided using a pre-paid UPS shipping label sent via email. In order to receive warranty service you must get prior approval from Hope Industrial Systems. To request warranty service you can contact our customer service representatives. If we determine that warranty service is needed we will give you a Return Material Authorization (RMA) number. This RMA number must be conspicuously marked on the outside of the shipping box. Hope Industrial Systems will not accept shipments not accompanied by the RMA number. Except where otherwise noted, you must ship or deliver the product to Hope Industrial Systems Freight prepaid. This warranty does not cover equipment which has been damaged due to misuse, abuse or accident such as: operating the equipment outside of published specifications; exposure to chemicals or gases not covered by specified IP/NEMA standards; displaying fixed images for long periods of time resulting in afterimage effects; improper or unauthorized repair by anyone other than Hope Industrial Systems or a service agency authorized by Hope Industrial Systems to perform such repairs; fire, flood, "acts of God", or other contingencies beyond the control of Hope Industrial Systems. Hope Industrial Systems' responsibility for malfunctions and defects in hardware is limited to repair and replacement as set forth in this warranty statement. Hope Industrial Systems shall not be liable for direct, indirect, incidental, consequential, or other types of damages resulting from the use of any Hope Industrial Systems product other than the liability stated above. 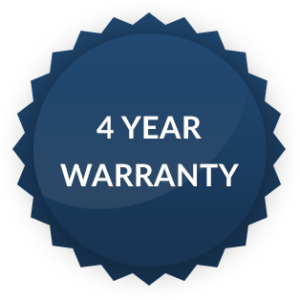 These warranties are in lieu of all other warranties express or implied, including, but not limited to, the implied warranties of merchantability or fitness for a particular purpose. Some states do not allow the exclusion of implied warranties or the limitation or exclusion of liability for incidental or consequential damages so the above exclusions or limitations may not apply to you. You are cautioned that the performance of this product can be affected by many factors, such as system configuration, software, application, and operator control of the system. It is your responsibility to determine suitability of this product for your purpose and application.